The Ball St Deli event at Kelham Island on Sunday 25th June was another great success, reflecting the vibrancy of the area and the work of local people building a strong community. The hard work of a few people brings an enormous benefit to the place. The event took place 10 years to the day of the 2007 floods which devastated the area. One of the lessons of that natural disaster was that households at risk of flooding need to have good community links to help with the recovery. The regular Peddlers Night Market in Kelham Island is also massively popular and the Gage Gallery – which was also open this weekend with an exhibition of John Wilkinson’s paintings about the Arctic convoys – is a regular scene of creative activity. 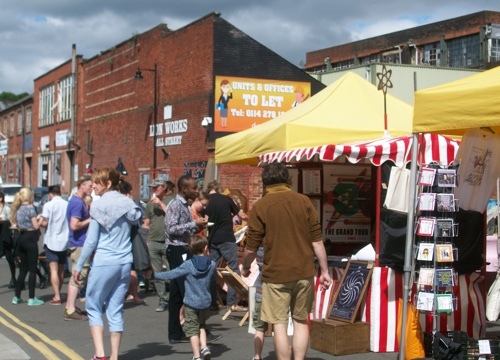 Kelham Island is busy and fast-growing and is an area to watch. Green Party councillor for City Ward.